Little boys also deserve a sweet, precious gift too! This Precious Moments Snow Globe is a perfect gift for baby boys (or godsons) on their Christening or Baptismal day. It is also a great gift for baby showers. When your sweet baby boy grows into a toddler, he will surely find this little snow globe fascinating. Little boys deserve a sweet little gift too! This Precious Moments Snow Globe for baby boys is perfect for godparents and grandparents who are looking for the perfect gift for a baby boy’s Baptism, Christening, or Dedication Day! Aunts, uncles, and cousins who are looking to make a baby boy’s welcome perfect and memorable can also consider this precious snow globe as a worth gift. Within this snow globe, a young boy snuggles his favorite teddy bear, safe and secure in the knowledge that he is loved on earth and in heaven. It also plays “Jesus Loves Me”. Snow globes have a way of enchanting boys and girls of all ages and this one is no exception! It is a sweet scene to behold for little ones, and even for adults. Snow globe can play “Jesus Loves Me”. This snow globe can surely enchant little ones, and it is a sweet scene to behold. 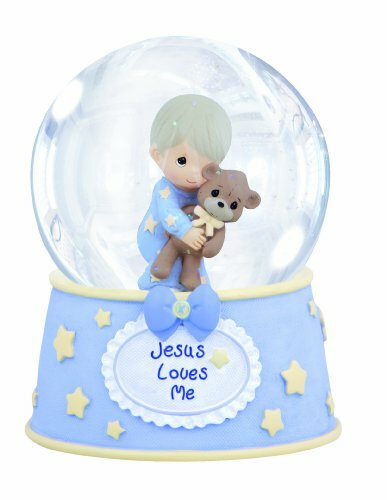 Give this snow globe as a baby gift to welcome a newborn home, for baptisms, christenings, dedications, his first birthday or ‘just because’ he is loved. Crafted from cold-cast resin and glass. 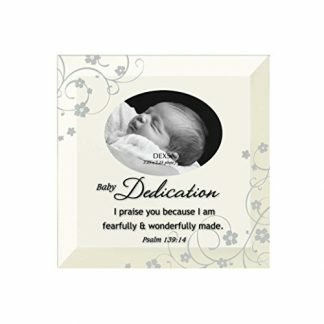 Give this snow globe as a baby gift to welcome a newborn home, or during special occasions such as baptisms, christenings, dedications, his first birthday, or ‘just because’ he is loved. 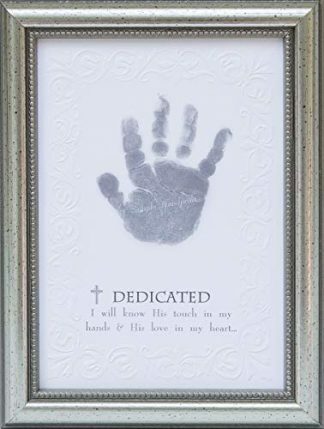 Your precious baby boy might not exactly remember what happens during his baptism or dedication day, but when he gets older, he will be able to look back through photographs and keepsakes – just like this little snow globe right here. Moreover, he will surely find this as a fascinating and wondrous little toy as he gets older. This precious snow globe is a perfect keepsake for christenings, birthdays, and dedication days. 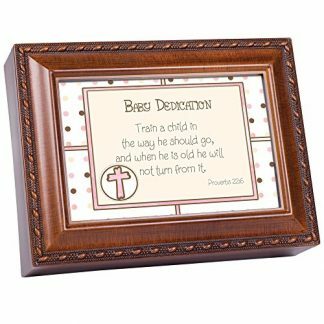 It also makes for a nice decor for baby boy’s nursery room.